Four championship courses at the rate of most public courses here in the Philippines. For a limited time, we are offering discounted weekday Golf Vouchers at Eagle Ridge Golf and Country Club. Take your pick from some of the best golf this nation has to offer. Vouchers includes Green Fees and Playing Access fees. Take advantage of this promo while it lasts. Learn how to golf today. A: A Golf Voucher is like a gift certificate. 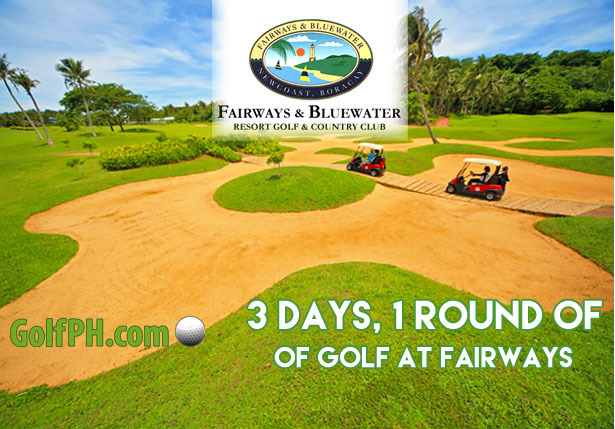 It is equivalent to the course green fee and enables you to play 1 round of golf at Eagle Ridge Golf and Country Club. Q: Do I need an Accompanied member to use the golf voucher? A: No, you will be playing as a guest of GolfPH..
Q: Can I pay through a bank deposit? A: Yes, For bank deposits, please contact us at [email protected] and we will send you our account info.